Couponing is great! As I have mentioned before, I have been bitten by the coupon bug and I have had a great time learning the ropes from experienced coupon bloggers in my area. So far it it has saved my family and I lots of money — plus it’s really fun (and a little addicting). Even though I enjoy doing it, I simply do not have the time, energy or drive — to spend hours on end working as hard as some of these extreme couponers do. So as you might imagine, I am a HUGE fan of couponing shortcuts and that is what I plan on sharing with you in this post today. If your goal is to get cart loads of items for free or almost free, or reduce you bill for grocery and household items by 80% or more, or you want insider information from an highly experienced couponing expert — this post is not for you. There are many awesome couponing gurus from all across the country who are sharing their tips and tricks and all kinds of great coupon information on blogs. I am what some might call a lazy couponer — or perhaps a better, nicer term might be a laid back couponer. I have only been couponing effectively for about four months but during that time I have learned a lot and I am excited to share what I know. I had no idea how much things really cost. I know that may sound silly but I really wasn’t paying attention to the actual price of the items we were purchasing. I had a general idea of course but when I really started to look at the prices – and realize what was and wasn’t a good deal – it really opened my eyes. Prices on items can vary drastically. I thought all retailers were within a few cents of each other on most items, but boy was I wrong! I would have to say that this is one of the most important tips for saving money because even if coupons became extinct, you would still save just by being observant and shopping sales. I do not have time to spend hours on end matching up the coupons I have, with items that retailers put on sale. This was probably one of the biggest reasons I didn’t coupon before — I just didn’t have the time to commit to such a project. Luckily, there are people out there who do this for a living and I love them for it! I have three favorite coupon blogs that I visit. They do store and coupon match-ups, they alert me to other sales that I might find on the internet, they provide money saving tips and they do so in a fun and informative way. Oh yeah, and the best part is it’s F-R-E-E. Just be sure that if you decided to take advantage of any coupons or deals they tell you about, that you use the links provided on their site. This is how they can bring such valuable information to you at no-charge. I highly encourage you to seek out these sites in your area. Facebook is a great place to find these people and if you have any frugal friends, ask them who their favorite coupon bloggers are. Before you embark on any shopping trip it is to your advantage to check out what sales are going on at the store you are headed to. I usually just check out one of my favorite coupon blogging sites, make a list of the things I need and the deals that are going on and then I compile my coupons. Sometimes I take my whole coupon binder but most of the time I just throw coupons in of things that I know will be a good deal. It would be nearly impossible for these sites to list EVERY sale item, so it’s good to keep an eye out for other store savings. You can always go back later when you have your coupons with you. When you see a great deal — stock up! This is really a money saver. Paying attention to sales cycles is a great idea because then you will know what items go on sale at certain times of the year. If you purchase these items when they are at their lowest and stock up until their next sale cycle starts you’ll save a lot! Most of the coupon blogs will make note of “stock up” prices which is helpful for folks like me. Saving money can be like a diet. You might do really great for a month or so — you might lose a few pounds (or save a few bucks) then you might revert back to the old ways. If you want to save money you really can do it simply and it really can make a difference. It is a relatively painless process. Sure there is a little hassle associated with it but no pain, no gain right? You don’t need to starve yourself you look like a supermodel, just as you don’t need to spend your every waking hour obsessing over coupons. Once you get into the swing of things you’ll be able to save some money and have a great time doing it!!! How much effort do you put into couponing? As I mentioned last week , over the summer I decided to give couponing a real go. I am pleased to say that I have had so much fun saving money and stocking up on things that my family and I use the most. I am in no way an extreme couponing queen. I am probably what some might consider a lazy couponer. If you want to save money but don’t have 40 hours a week to burn, then I’ve got some tips that can still help you save money with coupons. 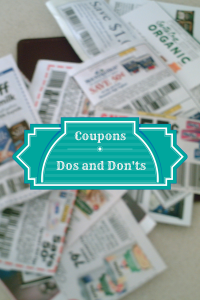 Today, I am going to share some couponing dos and don’ts. These are things I have learned from my own experience and from all the wonderful couponing blogs I follow. I had no idea some of the lengths people will go to to get coupons — some of it may surprise you as well. Couponing the right way means being ethical, being courteous to the store, the store employees and other shoppers who may be trying to save money for their family as well. Couponing is actually pretty fun. I seriously NEVER thought I would ever hear myself say that; not even as I began my couponing journey/experiment. Saving money isn’t just about the coupons themselves — it’s also a combination watching sales cycles and stockpiling (not hoarding). If you have been wanting to try it out I highly recommend giving it a go but I’ll warn you , it can be a little addicting. Do Get Organized but Don’t go Overboard! Don’t go crazy! This is something I always have to tell myself when starting a new project. I once tried – unsuccessfully I might add – to crochet. Well, I actually tried it twice the second time was when I was on pregnancy bedrest — but the first time I tried it, I rushed out to the craft store bought a ton of yarn, about 10 different crochet needles in various sizes, and a couple of books on how to crochet. I didn’t crochet a thing! So, as you can see I tend to go a little overboard when starting out. This is why – when I decided to start couponing – my first instinct was to go out about buy 20 newspapers the first week, a binder, a bunch of baseball card holders to put the coupons in, a DVD on how to coupon, etc. Being organized is key — for sure. However, when you first start out you won’t have enough coupons to fill a binder but a small coupon organizer is a great investment. I actually used envelopes in the very beginning. Now, I do have a binder but I still use my small organizer to hold the coupons I know I will need for certain trips to the store. I worked up to it slowly. So far — so good. We don’t have a very big house so I know my limits on what we have room for and what we don’t. I also know that certain items go on sale at different times of the year. It’s ideal; to buy when the prices are at their lowest, utilize coupons as much as possible and have enough stock on hand to last until the next time those items go on sale. If you pay attention to grocery sale cycles it can help you calculate how much of a certain item your family will need until the next sale cycle. Let me just say, there are very few people who need to purchase 70 bottles of mustard. If you own a hot dog stand or a ballpark — sure, you might use that much or more. Buy what you know you’ll need. However, buying something just to buy it – AND clearing the shelves to do it – is excessive and rude. If you do own a hot dog stand and you want to purchase 100 bottles of mustard at the super low price – that’s awesome – just be sure you call the store ahead of time and pre-order the amount of items you want to buy. This helps the store and the other customers who would also like to get a good deal on that item. Do buy what you’ll need but Don’t forget to check expiration dates! When you are making purchases be mindful of expiration dates and only buy what your family will use. There are many items that never expire, so buy what you have room for — if your house is busting at the seams but you find a rockin’ deal on toilet paper that you can’t pass up get it and give it away. Getting great deals also allows us to give more to others. Couponing will benefit your family and allow you to bless others as well. Do ask friends and family for their unused inserts but DON’T steal inserts. Do I really have to say this? Sadly, yes. There have been reports of people heading to their local store to purchase newspapers, only to get them home and realize the inserts have been removed. There are so many ways to get coupons and inserts. You should never have to stoop to this level and there is no deal in the world worth stealing for. Instead, ask friends and family for their inserts. You can even post on twitter and Facebook that you would love to have any leftover coupons people aren’t going to use and I’m sure you will be flooded with them. The rule of thumb is one newspaper for each person in your household. If you have four people in your family, then four papers should be good. There are certain times when you may need or want more coupons but I bet if you ask around you can get more. Some people purchase coupons off of eBay. I haven’t done this and I’m not sure that I will ever get to that point but it apparently works well for some people. So do any of you coupon? What advice might you have for folks just starting out? What are some of the best deals you have ever done? Couponing! I talked about it in my extreme couponing post. I mentioned how my husband and I have attempted to use coupons — and how we just haven’t been very good at it. BUT, something inside of me keeps pushing me to really give a go. 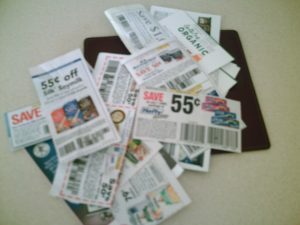 It could be all the episodes of Extreme Couponing that I’ve been watching,maybe it has something to do with the fact that my Mom hands me a stack of coupons every time I see her, maybe it’s the blogs I’ve been reading, or maybe it was my friend telling me how much she saved and how she did it. My guess is that it is a combination of all of these things. So — I have now made the decision to really try this coupon thing and see where it takes me. Now, before you all start worrying about me — I’ll just say upfront that I won’t be stock piling a bunch of stuff, or buying things I know my family and I will not be able to use within a reasonable amount of time (unless of course I plan on donating it or something). My husband has clutter-phobia! Okay fine — maybe he’s not afraid of clutter but it drives him nuts and makes it makes him grumpy. So even if I wanted to store toilet paper under the beds, or soup in the fireplace — he would have none of it. After speaking with my friend – who has shared some of her couponing tips with me – I decided to see what I could do. Sunday morning, I headed to the store and bought two newspapers. I figured if I’m going to do this, I might as well make sure I had a good amount of coupons. I really wasn’t confident enough in my abilities to buy five papers — which I am told (by my mother-in-law who took a couponing class) is the amount of papers serious coupon experts purchase. Got Coupons ~ Now What Do I do? I spent some time comparing the coupons I had on hand (that my Mom had given me the week before) with the weekly ads. One store had double coupons. Sweet! I was also elated to discover that there are wonderful people who do the coupon comparisons for you — and it’s free. All you have to do is follow their blog. There are two ladies in my area – that I follow – who do this. I have “liked” their pages on Facebook and these fantastic coupon mavens post a LOT of great stuff. Not just grocery deals either. They post restaurant, department store, and internet deals as well. If you do some research and I am sure you will find someone in your area who does this too. I would start by checking out Facebook and twitter — this will then link you directly to their blog. She tells me the store, the coupon, and the date it was in the paper. Then she includes my most favorite part — the bottom line (how much I have to spend). I don’t know all of the ins and outs of couponing and I don’t pretend to, but I am learning and as I do I’ll share some of my experience with you. Do you have a coupon story to share? Any tips or a favorite couponing web site? Have any of you seen the show Extreme Couponing on TLC? I’ll go ahead and admit that my husband and I are not great at using coupons, we aren’t even really good at it. We try to use them occasionally — but we either forget to use them, or we end up spending more than we wanted to, because we end up buying things we probably wouldn’t have purchased. It just never seems like there are ever coupons for the things we actually do use. This is why, when I watched Extreme Couponing I couldn’t believe what I was seeing. How on Earth do these people rack up a $300, $400, $500 or even $1000+ grocery bill and get away with spending $40 or less? In some cases they even get money back! It is crazy!!! Not only that — but they shop in some of the more expensive grocery stores that we try to avoid — especially when we are doing our weekly grocery shopping. As far as I can tell, there is a lot of research that goes into extreme couponing. 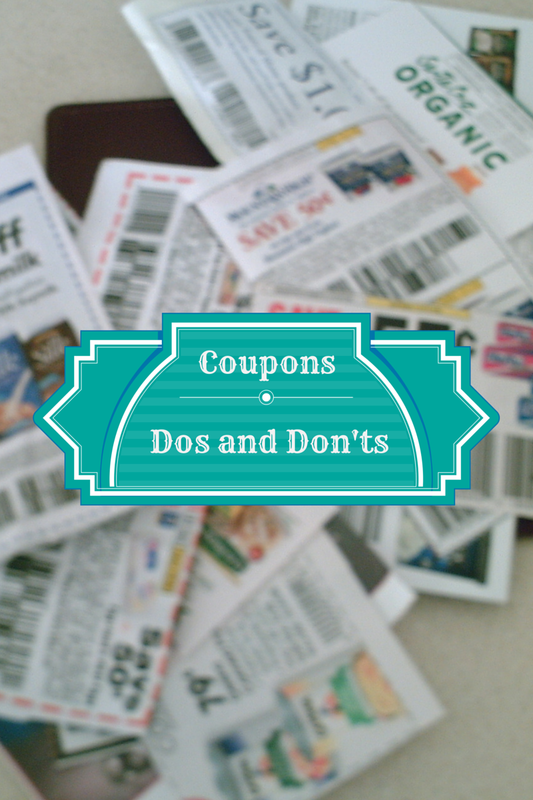 The people who are master couponers — have to know what the coupon policies are for each store, they need to know what is on sale, what coupons can be double and those that cannot. Also, extreme couponers have to be very organized and most put in as many hours (or more) as you would at a full-time job! This is not an activity that you can do, and do in an extreme way, unless you are very dedicated and super organized. I think it also becomes a sort of game and in some cases an obsession. In doing some research, I was disappointed to learn that one of the extreme couponers featured, has allegedly committed coupon fraud and apparently did so on the TLC show. I won’t go into all the details – because there are a lot of them – but if you want to read about it, visit Jill Cataldo’s blog. Another thing I noticed – is that when they show the homes of most of these couponing people – they have their own little mini-mart set up. They just have so much stuff and it’s everywhere. My husband would seriously freak out if we had that much clutter around our house — but I get it, they are saving boat loads of money so it makes sense to buy 70 bottles of mustard at one time…right? I’m not saying there is anything wrong with extreme couponing. I think it’s great! If people can do this (if they do so without committing coupon fraud, which I think is how most people do it), I think they are very smart and dedicated individuals. It would sure be nice if there was a show teaching people how to properly and effectively use coupons, instead of a show where we just stare at the screen – eyes wide is disbelieve – as these super couponers work their magic. It probably wouldn’t be as entertaining though. Since I’m not great at coupons, I don’t have any fantastic advice on the subject. Do you? 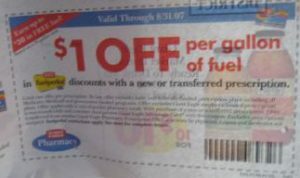 How do you use coupons most effectively? Do you buy a bunch of Sunday papers to get coupons? Do you spend hours searching for deals on line?